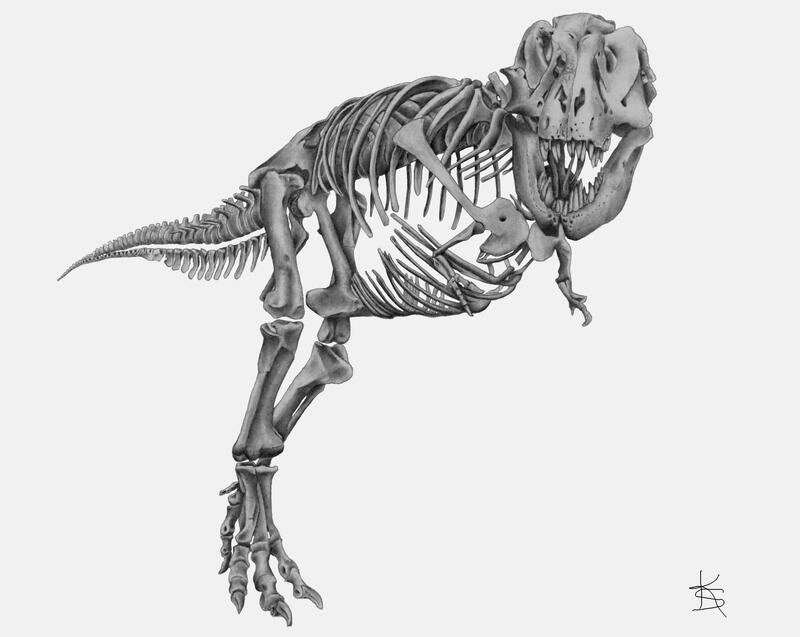 This is my second submission to the Dino Art Contest: a graphite drawing of "Montana's T.rex" (MOR 980) which was recently mounted for exhibit in the Hall of Horns and Teeth at the Museum of the Rockies in Bozeman, Montana. This drawing took me 25 hours to complete. Thank you again for this amazing opportunity!